Hi all, I am sorry that I missed all your post for past few days because of my tight schedule. Hope to catch soon. 1.Blend the above ingredients in the blender to the smooth paste. 2.Transfer to the bowl and add the Zest and give a nice whisk. 3.Freeze it over night in the deep plate if you want to serve them as cubes or freeze then in a bowl by covering then using a cling wrap. It's ready to serve !!!!! 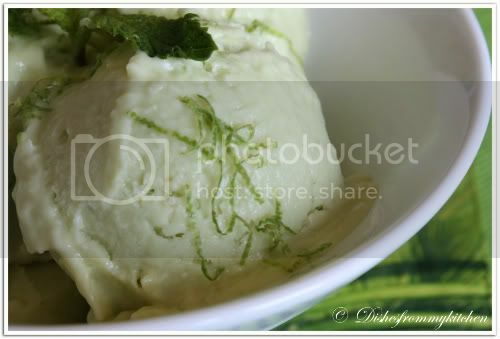 Enjoy this Zesty creamy dessert in this hot summer!!!! 1. Increase the sugar, Zest and Lime juice according to your preference. Wow pavitra what a summer treat.The sherbat looks very much.No words to say abt ur clicks dear. 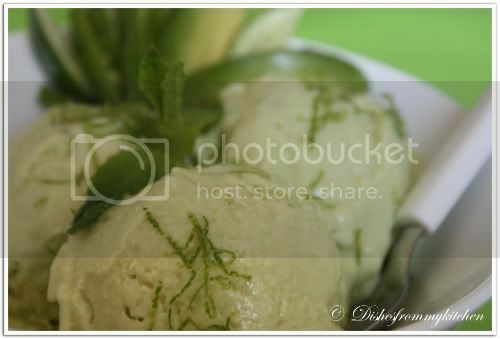 slurrrrrrrrrrrrp the mouth watering dish....nice pics.. Very lovely sherbet! Cool for summer! 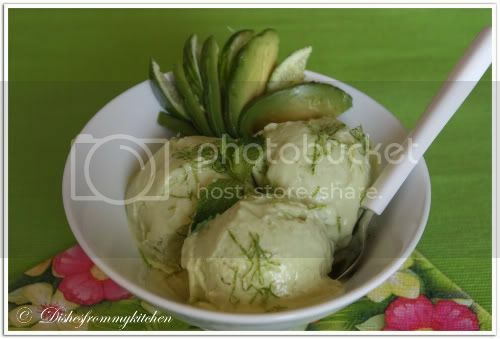 Dear Pavithra, sherbet looks so nice and yummy..wonderful pictures as always..
sherbet looks so deliicous..this hot season this kind of dessert always demanded..good one pavi. 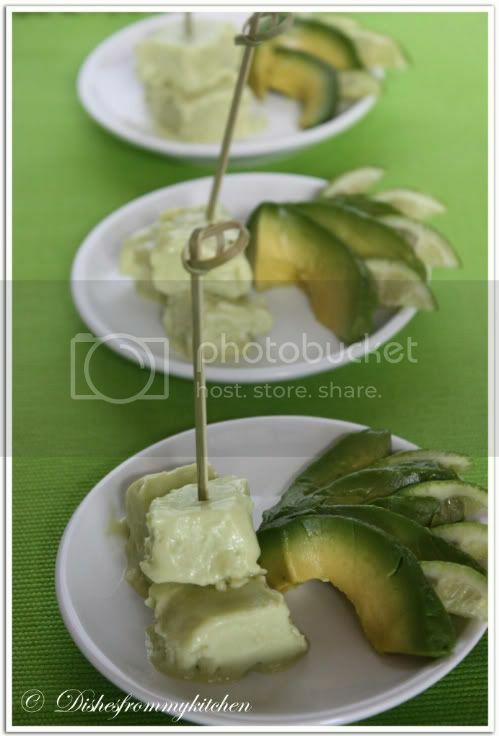 all pics are super ..
Looks gorgeous as usual Pavi - what a perfect recipe for summer! Love Love Love the pictures! 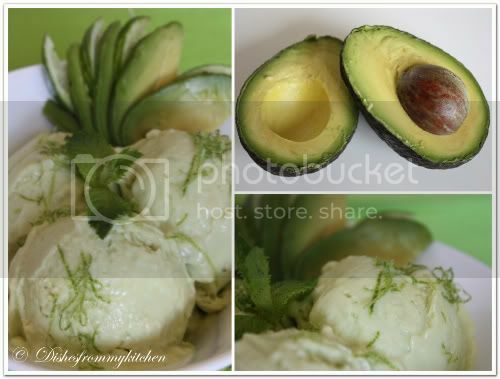 this looks sooooo delicious and refreshing..such nice green color..will try it, as its so simple to make..Thats the advantage. 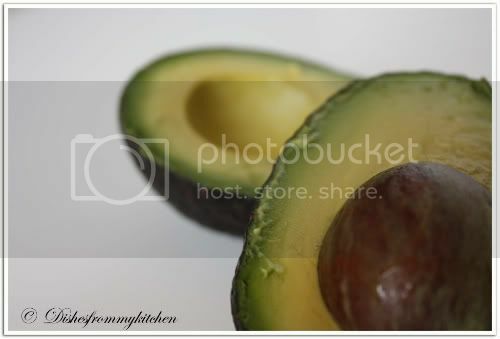 never tried avacodo so far.Ur clicks are really tempting me. What a creamy texture!! Woow.this time i too posted an iceream recipe. Very very enticing..... Loved the look of it.... As a child I always loved this fruit,as butter fruit & we had a plantation at home in my native of course.... I just pulped it out added some sugar, gave a thorough whip & savored it as ice cream..... This prep is a savory which is beyond one imagination.... Very Luscious treat for sure.... Thanks for sharing such delectable & for delivering a taste of the prep through your luscious captures..... Kudos!!!!! Simply awesome! This is such an unique recipe for sherbet. Atta Girl! you can't tempt me like this! Coolest sherbet, I bet! Wow! that sherbet looks very inviting , beautiful pictures. 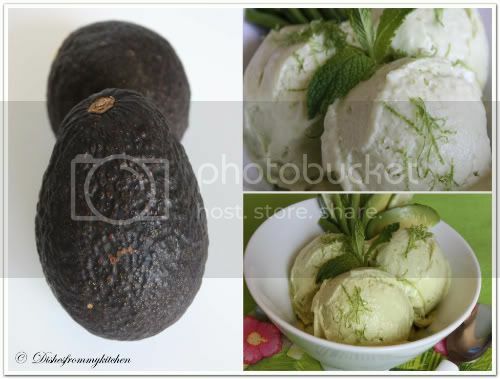 I've never had avocado sherbert. It looks light and refreshing. 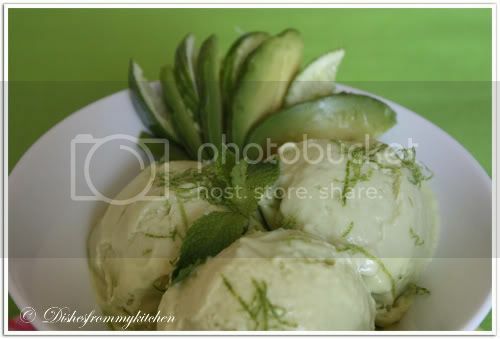 Such a refreshing and mouthwatering sherbet, looks tremendous..
Avacado sherbet looks delicious,I am going to try this this weekend. Nice refreshing sherbet looks really yummy. Such a refreshing and delicious sherbet! Lovely Clicks! 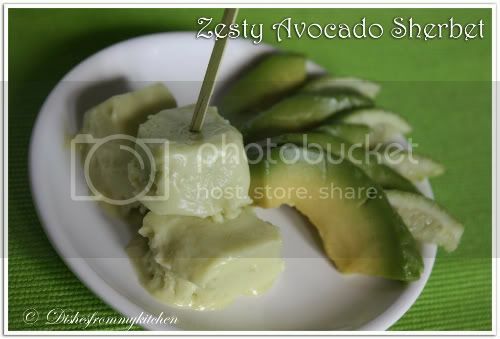 I used to love avocado milkshake when in Singapore.. the frozen version of this must be even better. looks so creamy. very nutritious dessert, refreshing one for sure. Sorry got busy and missed your post for long.I' was glad to get connected again. Brilliant idea, it must be so refreshing, yumm! 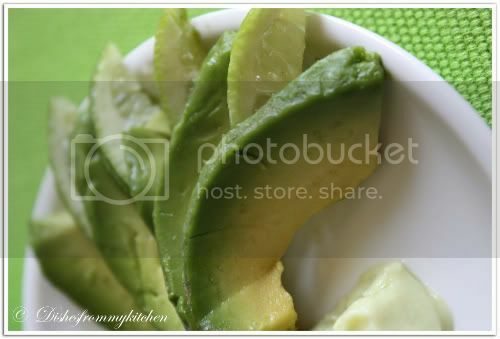 Nice clicks and yummy! I would definitely try this and let you know.